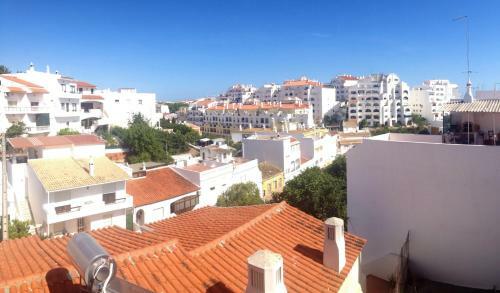 This detached villa has a private swimming pool and is situated in the district of Sesmarias, Albufeira. The beach is just a 15 minute walk from the villa. The Praia da Coelha beach is nearby. The villa is in a cul-de-sac in a quiet area. Located on a hill 300 meters from the Atlantic beaches, Villas Rufino offers self-contained contemporary accommodation. The property is surrounded by gardens and features an outdoor pool and a tennis court.